CIDETEC takes part in the European project ECOGELCRONOS in order to obtain a new manufacturing process for composites (or composite materials) with a high rate of production and environmentally sustainable. The project counts on € 4 million budget and involves 13 European organizations. The innovative gel-coat powder to be developed will allow a reduction in the production cycles and emission of volatile organic compounds. Composites are high added value engineered materials, due to the advantages they have compared to other materials. Its lightweight, along with high rigidity, has favoured its use, over many years, for the manufacture of satellites, airplanes or boats. These materials have shown their worth in such demanding markets as the automotive, infrastructures and sports equipment. However, the transition of many of these sectors is being very slow, mainly due to low productivity of the manufacturing processes, which are not profitable. Moreover, the transportation industry has to meet increasingly stringent environmental regulations in order to increase power / weight ratio. To achieve this goal, the composites are presented as key technology provided they meet requirements such as low weight, low cost and required rate of production. During the RTM process (Resin Transfer Moulding), one of the most frequently employed in the manufacture of composites is liquid gel-coats which are used as they have significant emissions of volatile organic compounds and long polymerization times. 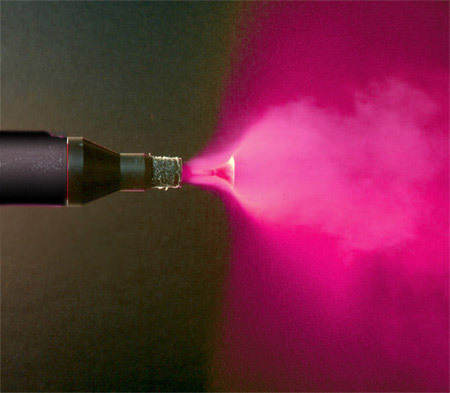 However, the use of gel-coat in powder form would eliminate these emissions and have much lower polymerization times, but up-to-date, this has only been formulated for SMC process (sheet moulding compound), and are not suitable for RTM processes. The European project ECOGELCRONOS, in which CIDETEC takes part, aims to design a high productivity innovative and environmentally friendly RTM process that will not only improve the current composite curing times , but also the quality of the parts. To achieve this, the project will focus on the development of a fast curing gel-coat powder for the to manufacturing of composite parts. This will dramatically reduce production time and minimize styrene emissions in the workplace. In addition, this type of coating will provide a number of improvements in terms of quality of the final piece. In addition, composite moulds will be manufactured where the carbon fibre will take on a dual function. It will act both as a structural reinforcement in the mould and as a heating element, thus providing a completely homogeneous heating surface. Additionally, all materials and auxiliary systems will be designed and integrated to ensure efficient and effective use of the gel-coat powder. Fibre pre-forms will also be developed, which will achieve high productivity in manufacturing composite components for the automotive and transportation equipment in general. Reduced curing times, along with improved quality of parts and the greater use of the raw material (possibility of re-use of excess gel-coat applied in powder, more post-life, greater throughput) results in increased productivity. But also in a reduction of production costs, currently the greatest problem in the manufacturing of composites worldwide. · Increased use of advanced materials in improved performance products without cost increases. · 30% reduction in raw material consumption. · Reducing waste and emissions by 80% during the application of the gel-coat and 20% during the formation of the fibre. · To develop an electrically conductive gel-coat to be applied on the RTM mould, allowing for the application of gel-coat powder by electro deposition. · To develop a bi-component hybrid epoxy / polyurethane adhesive for joining dissimilar materials, plastic / composite and metal / composite, which allows to integrate the pieces developed by RTM with the rest of the vehicle components. Two case studies will be used in the project to demonstrate the advantages of the newly developed technologies. Furthermore, ECOGELCRONOS proposes a fully automated process to dramatically improve current production speeds. ECOGELCRONOS began in September 2013 with a 3 year duration. The research leading to these results has received funding from the 7th Framework Programme of the European Union (FP7/2007-2013).